The count-down of my 100 favorite comic covers continues. Did you miss #100? It’s here. Now for #99 presented in a “Retina-Ready” format. Just click on the rather large thumbnail below to load a 2,048 pixel height version. 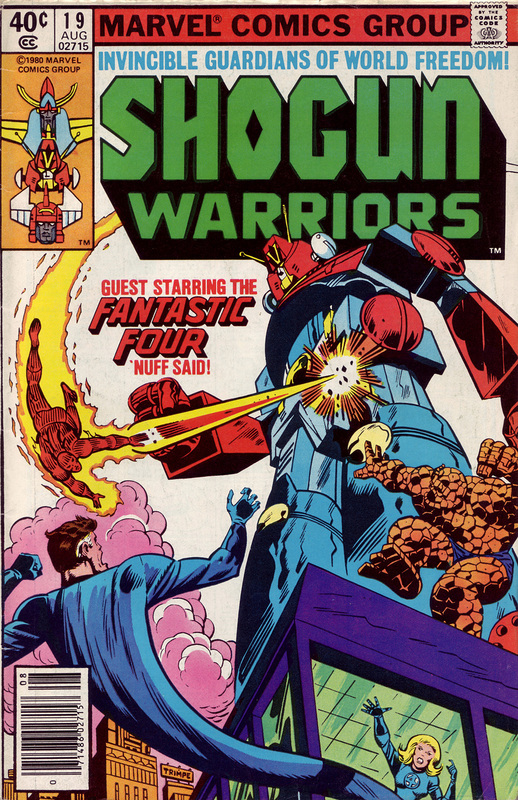 A lot of fan-boys my age remember their beloved Mattel Shogun Warrior toys and I had those too…but when I think Shogun Warriors I remember the short-lived but crazy fun Marvel comic. This cover by the tragically under-rated Herb Trimpe has a fantastic angled perspective that emphasizes the huge size of the Shoguns. Good stuff. Come back tomorrow night for #98. Oh, jeez. I read that series not long ago. It was terrible. It’s hard for me to like this cover, because the series was so stupid.